Bangladesh Government declared National Youth Day on 1st November. YPSA-Leadership Development Program (LDP) arranged different programs at Sitakund in Chittagong and Ramu in Cox’s Bazar during 1-2 November to mark the National Youth Day 2015. The theme of this year is “Youth Awakened, Awakened Country: Goal is Developed Bangladesh in 2041”. 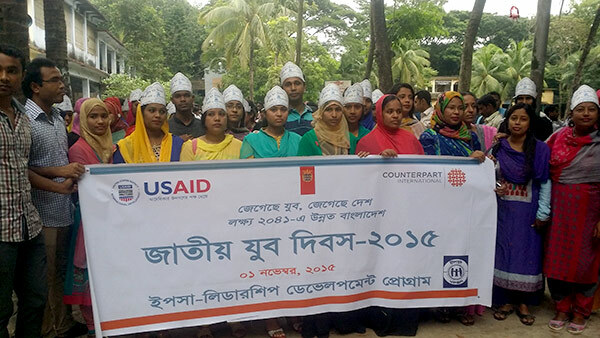 In the Sitakund, a colorful rally was jointly organized by Department of Youth Development and YPSA-LDP which started from Upazila complex with the participation of more than 100 youths. S.M. Al Mamun, Upazila Chairman of Sitakund inaugurated the rally. 50 LDP Youth leaders participated in the youth rally. After the rally, YPSA-LDP leaders participated in a discussion meeting on National Youth Day which was organized by SitakundaUpazilla Administration and Upazilla Youth development Officers. MD. 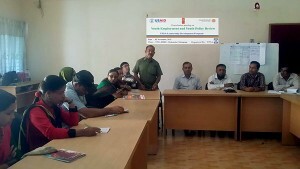 DidarulAlam, MP of Sitakund was the chief guest of the discussion session; special guest was Alhaz S.M. Al Mamun, Upazila Chairman. Md. Mahabubur Rahman, Upazila Nirbahai Officer (Acting) presided the discussion session. Md. Shah Alam, Upazila DYD officer moderated the session. Syed AsssrafUllah, Project Coordinator of YPSA-LDP discussed about the Youth Activities of Leadership Development Program and trained youth who are involved in different social development activities in the Upazila and becoming self employed through getting different training from Youth Department. After the discussion program guests visited the Handicraft Fair in the upazila complex organized by DYD. 40 YPSA-LDP Youth Leaders received the training of handicrafts from DYD of Sitakund about one month. So, LDP youth leaders played a major role on success the handicraft fair. 3 YPSA-LDP youth leaders were awarded for the best handicraft maker from Md. DidarulAlam, MP of Sitakund. 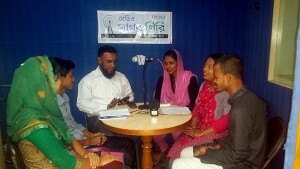 After the lunch session, a Radio Talk Show with LDP Youth Leaders and Upazila DYD Officers held on 1st November at Radio Sagar Giri Studio where the discussion issue was Youth Leadership for Community Development. They key person of the 30 minutes Radio Talk Show was Md. Shah Alam, Upazila Youth Development Officer. 4 youth leaders attended the talk show where 2 were female leaders. On the same day, YPSA-LDP celebrated National Youth Day-2015 at Cox’s Bazar. 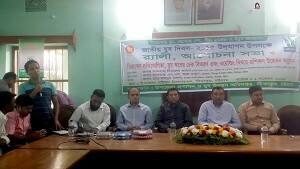 There were two separate programs on national youth day (district and upazila level). 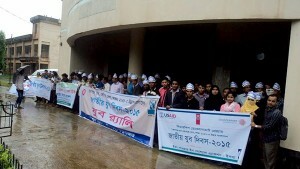 One program has been arranged by Youth leaders of YPSA-LDP at Ramu Upazila. Performing rally, they joined in discussion and sharing meeting where Upazila Nirbahi Officer (UNO), Upazila Chairman & vice-chairman of Ramu, Upazila, Youth Development Officer of DYD and other government official as well as official from non-government organization were present and shared their valuable views with youth. 114 participants attended the discussion meeting. On the other hand, another program at district level on National Youth Day arranged by the department of Youth Development accomplished with rally, discussion and price giving ceremony. Youth Leaders of YPSA-Leadership Development Program participated in the rally and discussion meeting with Department of Youth Development. Mr. Saimum Sarwar Kamol, MP of Ramu, Cox’s Bazar was present in the meeting as chief guest and Dr. Anupom Shaha, Additional District Commissioner (General) presided over the meeting. Md. Sanaullah, Deputy Director, Department of Youth Development moderated the discussion program. During the discussion and prize giving ceremony, 25 YPSA-LDP youth leaders participated in the Cox’s Bazar district program. National Youth Day celebration continues for next day on 2nd November both in Ramu and Sitakund Upazila. Consultation meeting on “ Youth Employment and Youth Policy Review” held at YPSA-HRDC, Sitakund on 2nd November with the participation of LDP Youth leaders, entrepreneurs, businessman community leaders, Non-Government Organization representatives and Govt. Officials. Md. Shah Alam, Upazila DYD Officer was present as chief guest in the discussion program. YPSA-LDP arranged tree plantation program at Barabkunda CCC High School campus with the support of Barabkunda Union Development Forum and Barabkund youth leaders on 2nd November. 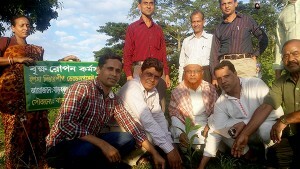 Barabkunda Union Parishad Chairman Chadakat Ullah Miazi inaugurated the tree plantation program. Head master of the CCC High School, community leaders were present in the tree plantation program. 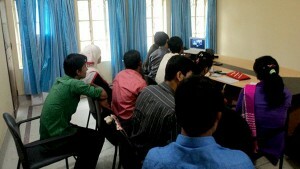 YPSA-LDP youth leaders of Ramu upazila participated in a video conference from YPSA-CRPARP Conference room, Baharchara, Cox’s Bazar on 2nd November. Youth leaders of Puthia Upazila of Rajshahi and Ramu upazila of Cox’s Bazar made the conversation as networking and knowledge sharing between youth leaders. They shared their success story and ongoing activities.